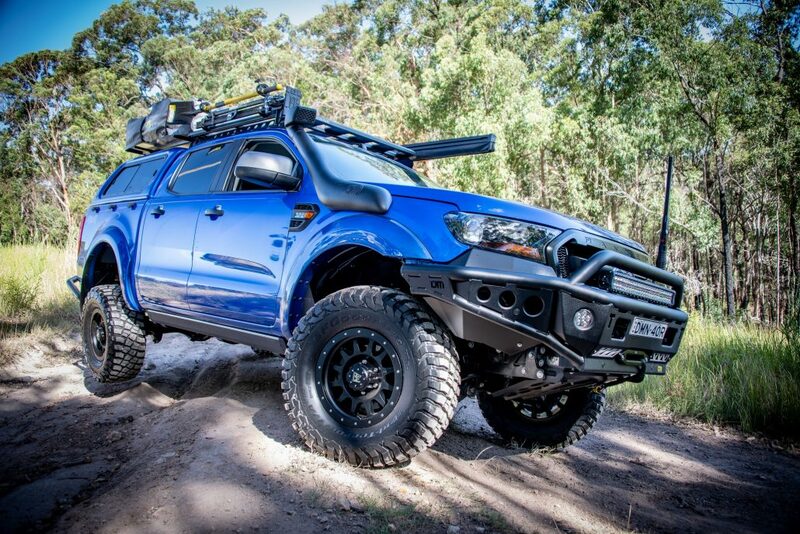 Well it took us a while, but we finally got around to finishing the build on our PXII Ranger. We think it was worth the wait however as we have had a few new products hit the market for these things just in time to finish the build. 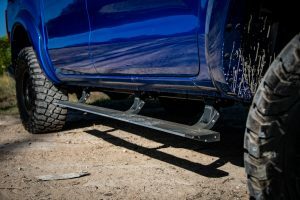 The bull bar is the first thing you’ll notice that’s a little different from anything you’ve seen before – it’s a totally new product from TJM called the Chaser Bar and it’s made to make your Ranger stand out from the crowd as well as being ultra-functional. 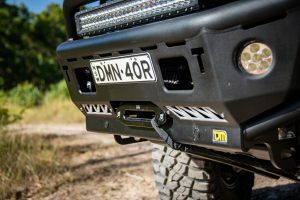 The winch compatible bar has chunky 63mm top tubing, built in rated recovery points, high lift jack points as standard features and optional off-road rock lights. 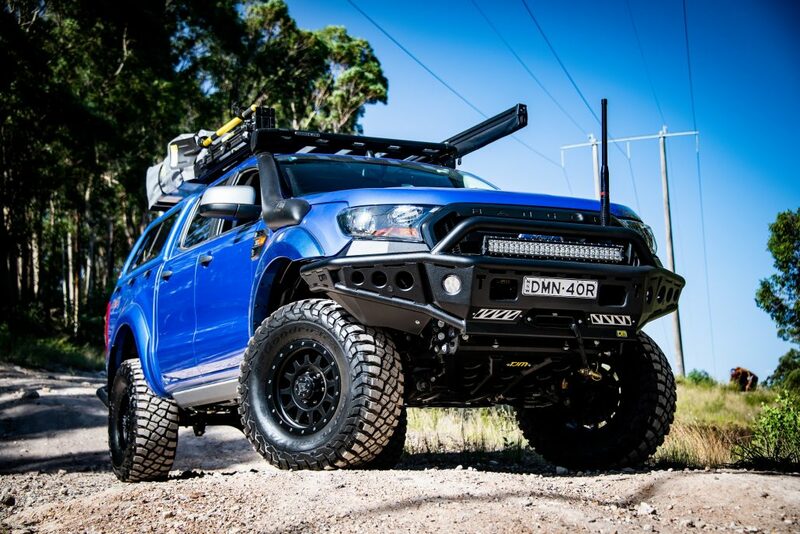 The bar houses a TJM Torq 9,500lbs Black winch and a Stedi dual row 28” LED light bar. It’s also the mounting base for the GME AE4704 short and stubby UHF antenna. Bar work continues at the rear with a TJM RB6 rear bar which also incorporates the chunky 63mm tubing and utilises a TJM recovery hitch. Side steps are something a little different for us and we opted to fit the Clearview Power Boards. This clever little set up by the makers of the best towing mirrors on the market, automatically drop down when you open or unlock the car and hug the sills nice and tight to keep them up out of harm’s way. 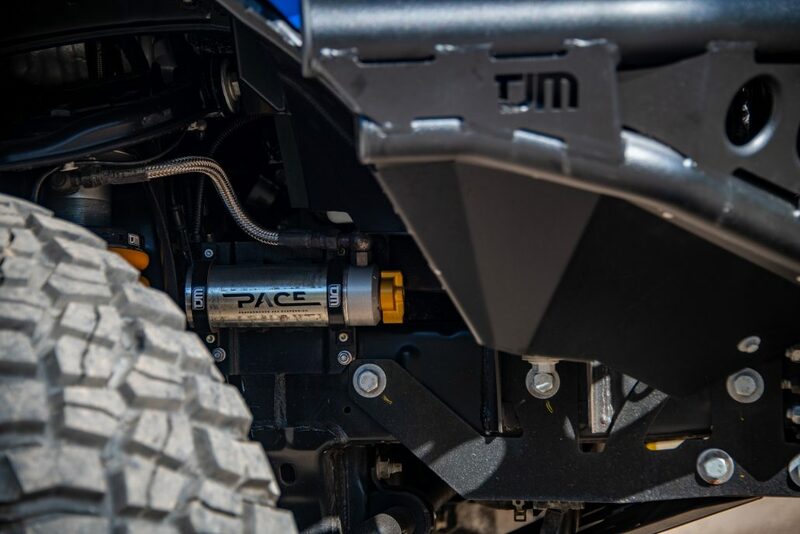 Suspension is also a new product on the market by TJM – Pace suspension. These bad-boys are using a massive 52mm piston adjustable monotube shock with remote reservoir and a unique internal hydraulic internal bump-stop system. 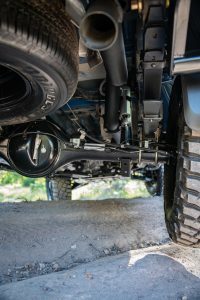 There are 8 stages of adjustment on both compression and damping and gives the shocks the flexibility of being able to soften them up for off-road work or loading them up right through to GVM. 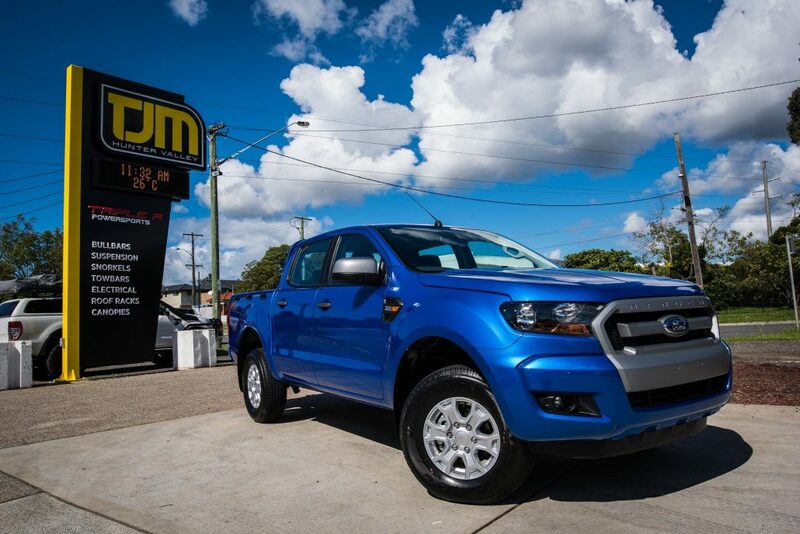 A mild power increase is compliments of the Redback 3” DPF back exhaust and throttle response is improved dramatically with thanks to the iDrive fitted. 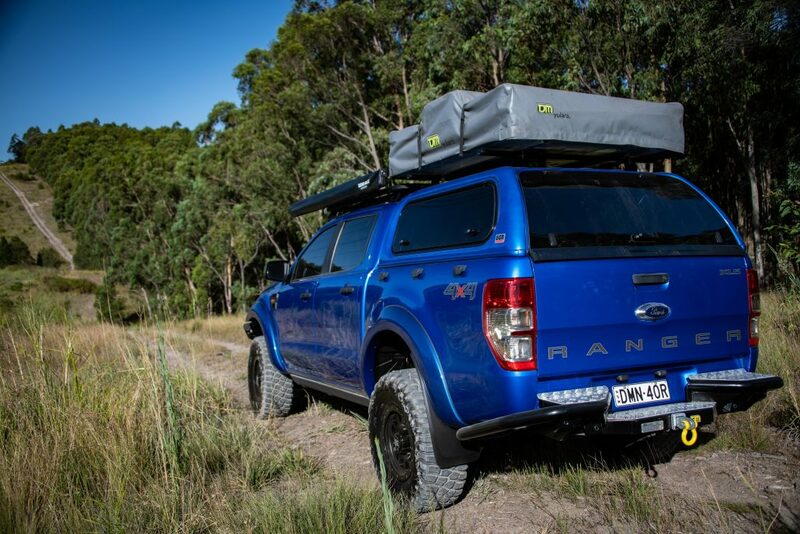 Camping gear is kept dry and secure in the EGR Premium Canopy which is running internal support roof racks to carry the TJM Yulara roof top tent. There’s also a Rhino Pioneer platform for extra storage which is mounted using the backbone system over the cab. 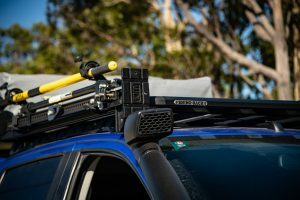 Keeping the elements at bay is a Rhino Sunseeker 2m awning and fitted to the opposing side of the platform is a Rhino Pioneer jack and shovel holder to house the TJM high lift jack and Bushranger 3-piece recovery shovel. 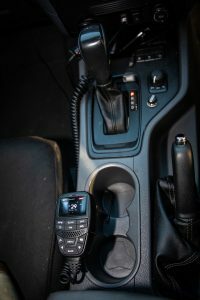 Communications are taken care of by a GME XRS370 UHF radio running through the Lightforce Ranger Fascia panel which also controls lighting for the Stedi light bar. 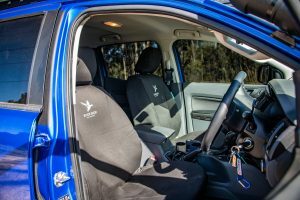 There’s a set of Black Duck Black Denim seat covers protecting the Ranger’s seats from the mud and sand that gets dragged in while it’s on the tracks. 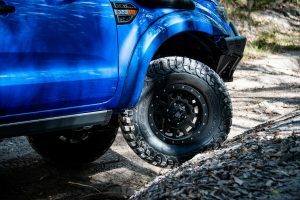 The whole package is rolling on Allied Brute alloys measuring 16×8” and running a +20 offset wrapped in BF Goodrich KM3s that are a 305/70R16 for the ultimate in strength, style and traction. To keep it legal, there’s a set of colour-coded EGR flares on both front and rear. We’re pretty pleased with the way it turned out, even though we did take our sweet time in getting around to building it. That’s what happens when we’re busy building the ultimate rigs for our customers – our own tend to get put on the back-burner.